The greenman is a motif that has existed since ancient times, appearing on buildings, carvings, and historical documents. Now your writings, too, can feature the face of the greenman when you write in our greenman notebooks and journals! We carry a selection of greenman notebooks and journals perfect for recording your thoughts, writing notes, or even sketching. Many of these greenman notebooks are made of genuine leather and feature swing clasps to secure them shut. Greenman embossing decorates the covers of some of our leather greenman journals. Our unlined, blank page greenman notebooks are not only great for writing or drawing, but they are also fine items to gaze at and add to decor. Shop all our greenman notebooks, greenman journals with clasps, and greenman diaries here. A symbol of the life of the forest, the Greenman can be found in just about every culture. 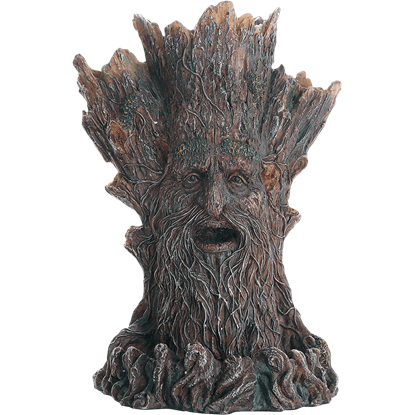 It is no wonder, then, that he would make an appearance in the form of an age old oak tree as depicted in the Greenman Backflow Incense Burner! 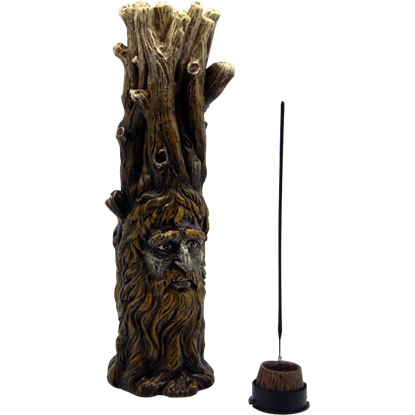 The Greenman Incense Burner features a greenman in a tree trunk. His mustache and beard are the tree roots and extend outward to create the base of the burner. The top of his head is hollow and big enough for a tealight candle. The Greenman motif is found in many cultures from many ages around the world, and it is primarily interpreted as a symbol of rebirth. 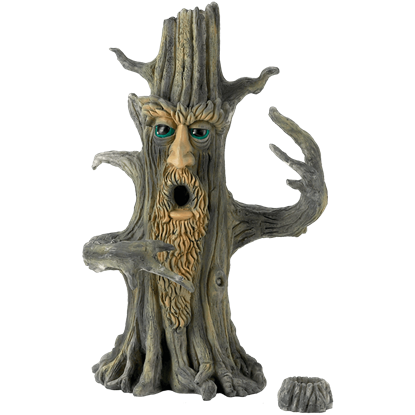 Take some time to relax and breathe new life into your day with this Greenman Roots Incense Burner. A symbol of rebirth and new growth, the Greenman appears in many different cultures and mythologies. 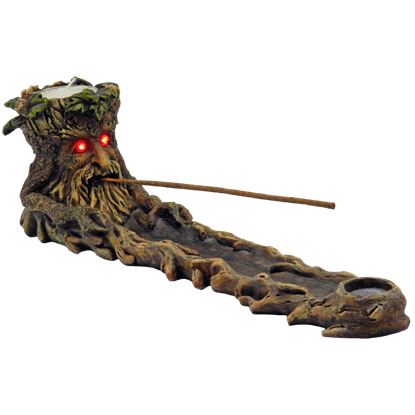 The Greenman Vine Incense Burner makes use of this nature motif, showing the leafy face of the Greenman on one end. With its kind eyes and subtle smile, this forest spirit welcomes you to a fantasy realm filled with enchantment. Further enjoy your favorite scents in stick or cone form alongside the natural charm of the Happy Tree Incense Burner. Add an aura of enchantment to your home when you enjoy your favorite scented oils with the Happy Tree Oil Burner. 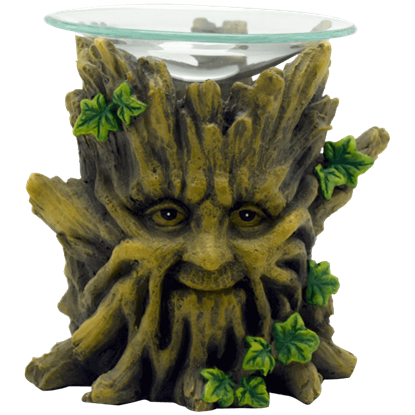 This cold cast resin tree spirit burner features a kindly face and a glass brazier resting atop its jagged trunk. Nothing is quite as peaceful as burning incense at the end of a long day. 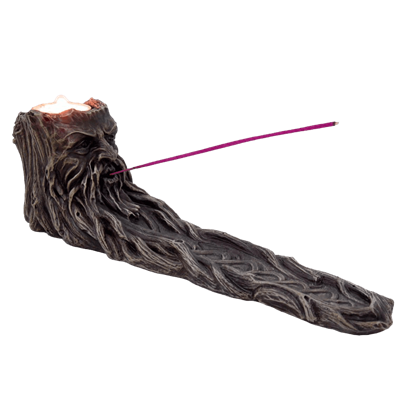 Do not just take our word for it, try it out with the Long Branch Incense Burner and let the old man in the tree show you the relaxing power of incense. A word to the wise, putting burning substances, like incense, near wood is probably not a good idea. 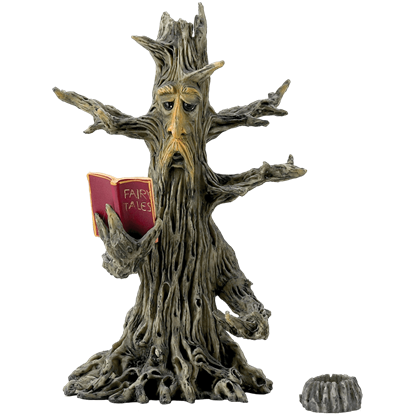 The Poet Tree Incense Burner is a wise old tree, though, so he knows how to handle burning incense. Is your decor lacking a natural, yet eerie touch? 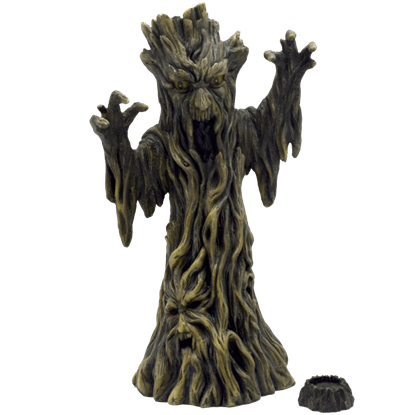 Transform your surroundings into a darkly enchanted forest with the Scary Tree Incense Burner. 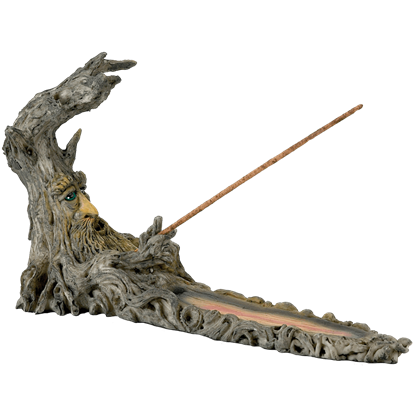 With screeching faces and clawing limbs, this fantasy incense holder is ready to terrify. 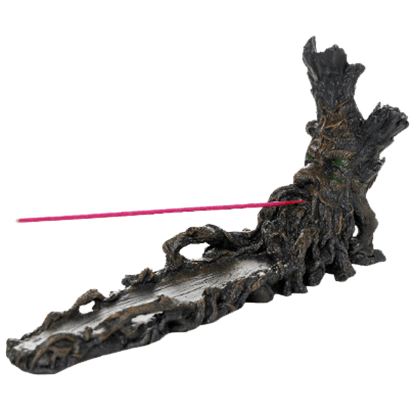 Considering the attempts to create awareness about the prevention of forest fires, the Scent Tree Incense Burner is somewhat ironic in its appearance and even a touch amusing - a tree that contains lit, smoking incense. 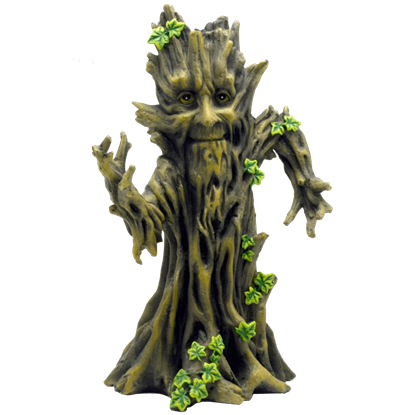 Allow a contemporary take on Greenman to offer some assistance with the Tree of Wisdom incense Burner. 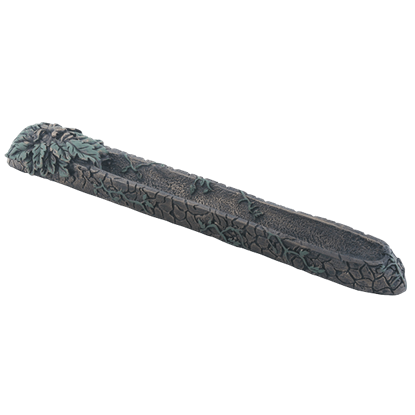 This unique burner is sure to be appreciated by any who respect nature and want to draw answers from the earth.